Six months ago Bank of England Governor, Mark Carney in 'forward guidance' at the time gave his intentions to start to raise UK interest rates early 2016, that in the run up to the Fed December rate hike had galvanised many to expect a similar trailing response from the Bank of England to gradually follow the Fed towards normalisation of UK interest rates towards a target of 2.5% over 3 years i.e. by Mid 2018. However the noises coming out of the Bank of England following the Fed December rate hike have become increasingly dovish, with BoE recently making it clear that the prospects for a UK rate hike for the whole of 2016 have more or less completely evaporated. "the firming in inflationary pressure we had expected will take longer to materialise". "Since last summer, progress has been insufficient" to warrant higher interest rates, Mr Carney explained, adding that "the world is weaker and UK growth has slowed". UK interest rates have now flat lined at 0.5% for 80 straight months, with market attention post the May 2015 general election had been turning towards the prospects for the first of a series of interest rates hikes. However, firstly understand that 0.5% is NOT NORMAL, it is a PANIC MEASURE. Therefore Bank of England has been in a perpetual state of PANIC for over 6.5 years of which dropping interest rates to 0.5% was just one of many steps towards propping up Britain's bankrupt banking system, the second step was the £500 billion or so (£375 billion official) of total Quantitative Easing or money printing that has been stuffed into every orifice of the bankrupt banks, and the list goes on with capital injections and the Funding for Lending Scheme which succeeded in eroding the purchasing power of savings (stealth theft) since it was first implemented in Mid 2012, ALL to prop up the Bank of England's banking sector brethren. Official UK CPI Inflation continues to hug 0% at a rate of just 0.2% for December 2015. Meanwhile RPI, which is the closest official measure to real inflation continues to nudge higher to 1.2%, which are set against the demand adjusted UK Real inflation rate of 1.6%. So deflation? Not really, real UK price Inflation is actually well above 1%, and that's before I mention the big elephant in the room - HOUSE PRICE INFLATION which is galloping along at 9% per annum, but of course that does not count where the Bank of England is concerned. The implications of a RISING crude oil price that could easily double from its recent lows should have the effect of pushing UK inflation far higher, probably seeing CPI near 2% by early 2017, and RPI near 3%. The implications of this would normally be for interest rate hikes by early 2017. However, it should be noted that the BoE has ignored high inflation rates in the past i.e. during 2011 CPI spiked to over 5% without a flicker out of the BoE, which implies 3% CPI let alone 2% are unlikely to result in a UK rate hike. The oil price collapse has triggered a huge transfer of wealth from England to Scotland to prevent a collapse of the Scottish economy following what will probably turn out to be the slow death of the North Sea oil industry which requires an oil price of approx $60 just to break even let alone the likes of $100+ to finance new expensive operations that the fantasy land Scottish Nationalists had propagandised during the 2014 Independence Referendum and delusionally continue to cling onto to this day when the truth is that Scotland's oil party is well and truly over! Nevertheless the support for Scotland, a weak european economy and evaporating Chinese demand are all acting to drag down UK GDP to imminently a sub 2% rate. However, whilst a recession does not appear to be on the cards the slowdown in momentum is such that the UK looks set to dip to an annualised growth rate of below 1.5% and may even touch bottom at 1% which compares against the engineered mini-election boom of 2.8% in the run upto the May 2015 general election. Therefore, as usually tends to be the case for post election economic slowdowns, then the next 2 years are likely to be weak (2016, 2017) with GDP probably going to average at a rate of about 1.6% for each year which compares against the Bank of England's economic propaganda expectations of 2.5% for 2016 and 2.7% for 2017. Therefore the weak prospects for the UK economy over the next 2 years are not conducive for the need to raise interest rates as actual GDP data releases will slowly prompt the academic economists to revise their GDP forecasts lower during 2016 and 2017 which thus implies the Bank of England will probably opt to do nothing and perhaps loosen monetary policy further via mechanisms such as QE. Which would translate into perhaps an extra £50 billion of QE from £375 billion to £425 billion. Whilst 1.6% GDP growth may not sound so bad considering what is going on elsewhere, however consider this that the UK population is increasing at the rate of about 1% per annum, so in per capital terms it means that many of not most folks are actually going to feel POORER as the headline growth rate masks the consequences of continuing out of control immigration from predominately eastern europe that is resulting in a net migration level of about 350,000 per year. In fact I am sure the mainstream press too will eventually clock onto this reality when annual GDP dips to 1% resulting in per capita stagnation. Britain's Prime Minister, David Cameron emerged Tuesday waving a piece of paper Chamberlain style of a 'draft' agreement that follows several months of negotiations that had the PM running around europe begging the likes of Donald Tusk (a former Polish Prime Minister) and former eastern block nations for some return of sovereignty. A piece of paper that is heavy on printed pages but light on anything that even comes close to matching the Conservative Manifesto pledges of a series of red lines ahead of Britain's EU In / Out referendum. Following a BrExit vote, in terms of the economy little would change for several years as the negotiations towards the UK leaving the EU would take many years to reach a final agreement, and so could probably easily stretch to well into the NEXT Parliament i.e. over 5 years after a EXIT vote, especially when we consider that Greece is taking forever just to leave the euro-zone (6 years and counting), let alone leave the European Union. So a BrExit could take place in a series of stages. Whilst in terms of interest rates, the increased economic and market uncertainty following a BrExit vote would make the Bank of England less inclined to raise interest rates for the whole of this Parliament and would probably consider further easing of monetary policy, more QE to counter any loss of GDP during each stage of implementation of BrExit. So in interest rate terms a BrExit would make the Bank of England LESS inclined to raise interest rates for the whole of this Parliament, and in fact will encourage further easing so as to cope with uncertainty. Whenever George Osborne or David Cameron state that they are paying down Britain's debt, they are LYING! The same went for Ed Milliband when he would state that Labour would cut Britain's debt. NO GOVERNMENT DEBT IS BEING REPAID OR WILL EVER BE REPAID! Instead the truth is that the WHOLE of the economic growth (in real terms) since the May 2010 General Election and continuing into 2016 is wholly as a consequence of some £586 billion of additional DEBT. Again this is a very important point to note that virtually ALL of the economic growth since 2010 is DEBT based, ALL of it, including the 2015 election boom, the debt accrued since 2010 will likely equate to total real terms increase in GDP - virtually pound for pound which is why there is a cost of living crisis because printing money (debt) does not increase productivity, all it does is inflate the money supply. Just as the Coalition government ended up borrowing over £200 billion more than it forecast it would so we can also take the Conservative governments pledge / promise / forecast / hopes / dreams / fantasy to a 2014-15 £90 billion annual deficit into a fantasy land £5 and £7 billion surpluses in their last 2 years of office, that is just not going to happen! Therefore just as I voiced in my May 2015 analysis that the Conservative government would end up borrowing TRIPLE the £115 billion it expecting to over the next 5 years i.e. approx £350 billion. And as of writing the UK so far this financial year to December has already borrowed £74.2 billion, virtually reaching the total target for the whole of 2015-16 that has another 3 months to go! With total public debt now at £1.54 trillion or 81% of GDP. Now factor in my growth forecasts for an average of 1.6% per year which would translate into lower tax reciepts and so even greater pressure to borrow more. So the worsening debt dynamics are such that the Bank of England is unlikely to even want to signal the start of rate hiking cycle could be near as it would lead to higher government borrowing costs which implies to expect more dovish comments out of the Bank of England throughout 2016. Unlike during 2013, today there is not much sign of the UK bond market discounting future rate hikes any time soon, in fact the we are probably well over a year away from any rate hike. And likewise there is not much sign of life in the LIBOR market (12 month 1%) signaling even 1 rate hike let alone a series. Though do remember this is a 30 YEAR long bull market, so one can easily forget just how expensive bonds are, a bubble that awaits the return of inflation to burst. The Non seasonally adjusted UK house prices momentum graph shows that the UK housing market is bouncing back strongly from a post election slowdown to +7% to currently stand at +10.5%. The trend in momentum is in line with my long standing expectations for house prices momentum to fall in the months following the general election to be nothing other than a 'mild correction' as I expected the over-riding bull market trend to reassert itself. In terms of the current state of the UK housing bull market, the Halifax average house prices (NSA) data for January 2016 of £210,108 is currently showing a 3% deviation against the forecast trend trajectory, which if it continued to persist then in terms of the long-term trend forecast for a 55% rise in average UK house prices by the end of 2018 would translate into an 8% reduction in the forecast outcome to approx a 47% rise by the end of 2018. Another point to mention is that the widespread bearish doom merchants of the past TWO years expectations for an always imminent end to the house prices bullish trend have now to contend with the fact that UK house prices are now 4.5% HIGHER than there 2007 bull market peak! 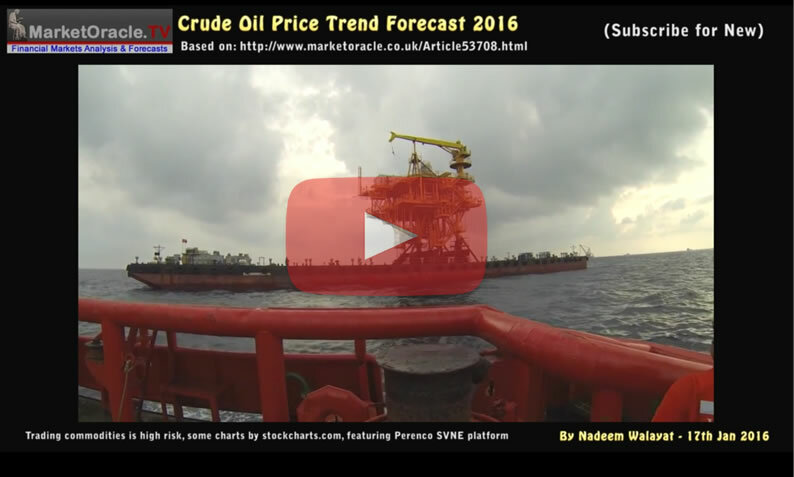 Whilst the prospects for a UK rate rise during 2016 have been evaporating. However as my previous analysis has consistently repeated that rising interest rates, especially at the start of a cycle tend to be GOOD news for house prices. 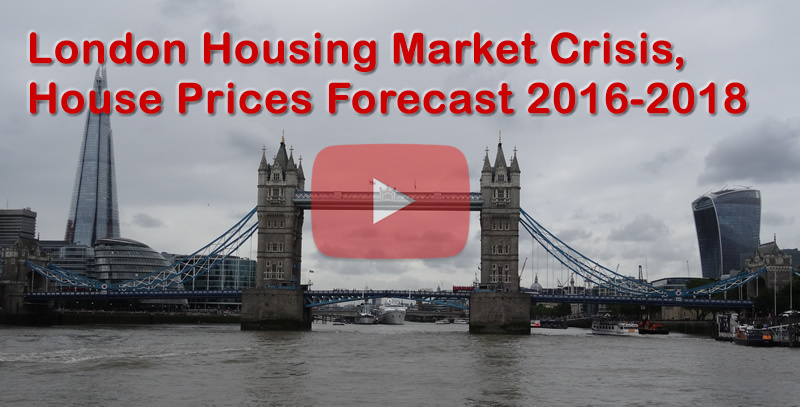 20 Aug 2015 - Will UK Interest Rate Rises Crash House Prices? Despite the US Fed raising interest rates in December, all of the worlds other central banks are not only cutting interest rates towards zero but as the recent BOJ decision illustrates have actually gone negative! 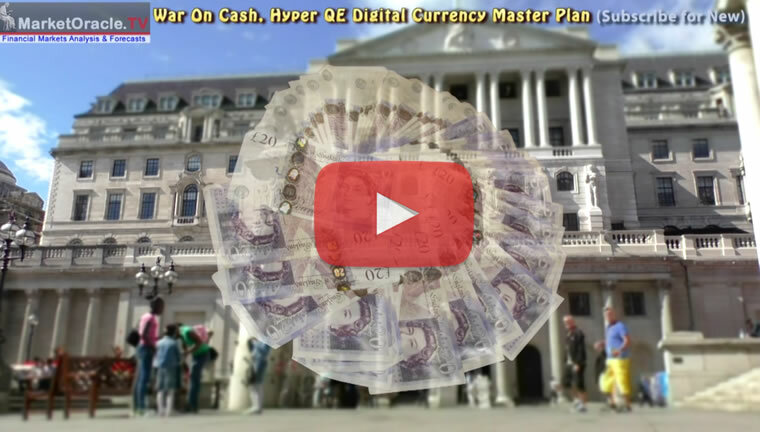 In the following comprehensive video I covered the Bank of England's War on Cash following it's September 2015 announcement aimed towards phasing out cash with is a pre-requisite for the effectiveness of negative interest rates. Remember that such theft is nothing new, because for the past century it has been by means of INFLATION, i.e. 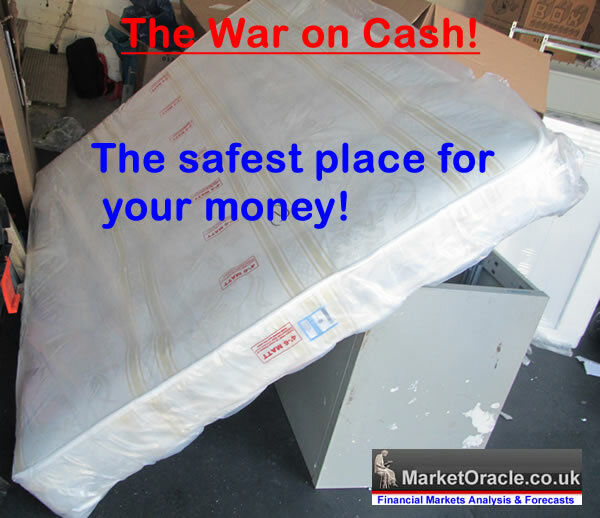 real inflation 5%, interest rate 3%, net -2% stealth theft of deposits. Now with rates near zero the stealth theft looks set to become outright theft. Thus negative interest rates are just a continuation of the policy for theft of purchasing power of currency in a very low inflation or even deflation environment. The consequences of negative interest rates / the war on cash have remained consistent for several years now in that for savers to protect their wealth need to convert bank deposits into hard assets such as property, precious metals (opportune moment) and of course stock holdings (high volatility). Given my own portfolio breakdown which has remained pretty consistent now for near 4 years, my most favoured wealth protection asset class by far remains property holdings. Bonds should also do well as rates go negative. It's simple - RAISE INTEREST RATES! Why ? 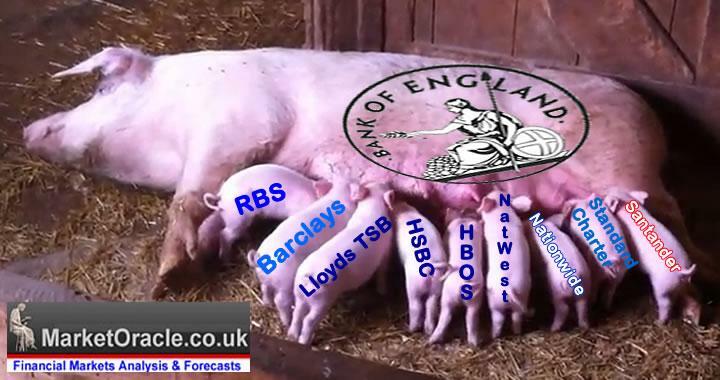 Because QE does NOT WORK! ZIRP DOES NOT WORK! We have 20 years of PROOF from Japan and the REST of the Western World for the past SEVEN YEARS! 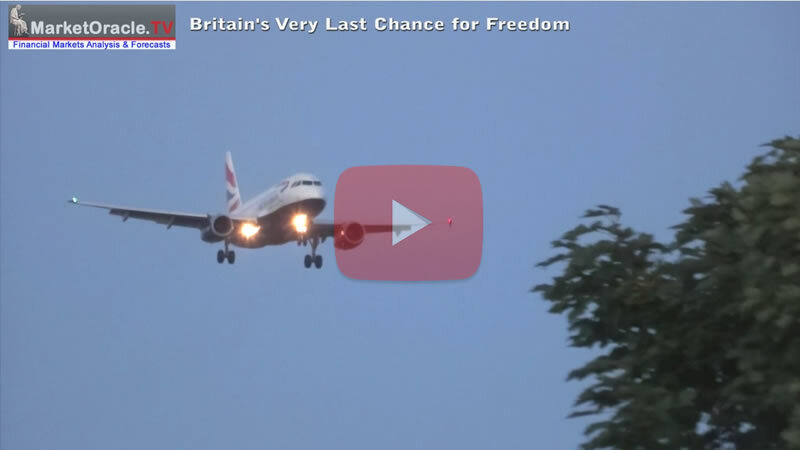 Instead the clueless academics, bureaucrats and central bankster's peddle more of the SAME! At least the U.S. Fed had the balls to nudge rates higher in December which means the US economy should continue to out-perform. THAT IS THE DIFFERENCE between REALITY and ACADEMIC THEORY of the Economists and Central Bankster's. They really STILL don't have a clue! If Cutting interest rates to ZERO did not work, then instead of the next step being to go NEGATIVE, instead they should NORMALISE INTEREST RATES, and then they can years later with the benefit of hindsight right why it worked in reams and reams of academic papers, all patting themselves on the back trying to forget all the years when they got it wrong and only got it right after they had thrown everything else including the kitchen sink at the problem!